Finally… Something Different Has Arrived! I get it. The fast cars are fun. The big houses are great. The office with a view. I get it. Most of these “entrepreneurs” are hustling 24-7 to pay for it all. As a former teacher, I love creating curriculum and teaching learners who have a drive to be better than themselves, to be better than yesterday's version. 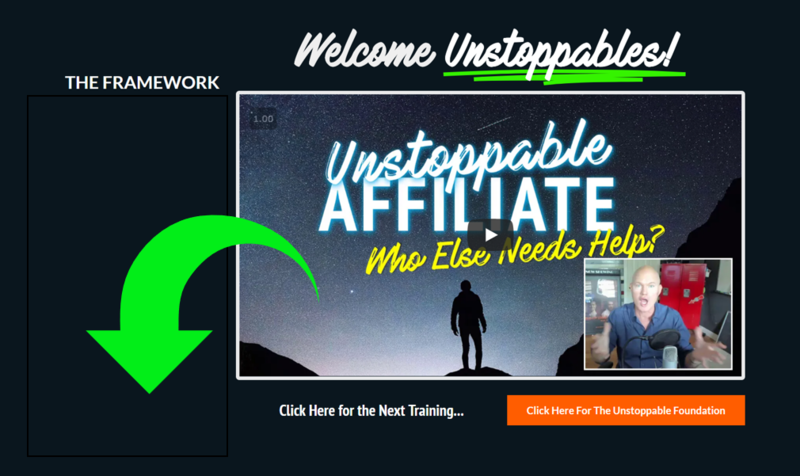 My new training center is called “Unstoppable Affiliate” and I honestly believe this framework changes the game for building a business AROUND something that you actually ENJOY. As you can tell, I put a LOT of time and energy into producing this training for you… with an added rare benefit: LIVE COACHING! There will be a section inside Unstoppable Affiliate called “Classes & Live Q&A” where you get live help / live walkthroughs / live step by step from a teacher who can break it down for your learning style. Share & Tag Someone Who Needs This! Donald Is this like Clickfunnels? I went through the system and setup my website in about 20 minutes. I cannot believe that I can build full websites now. My website looks like a huffington or a yahoo type website. I have spent thousands over the years and never thought it could be this easy. I thought this was gonna be another refer a friend to refer a friend program. That niche was never mentioned & there are five different niches I've never heard of. Very cool stuff. I'm in the member's area, and I love the 7-minute setup. This is what I've been missing. Your information is safe & will never be rented or sold. Your privacy will be respected & you can unsubscribe at anytime.